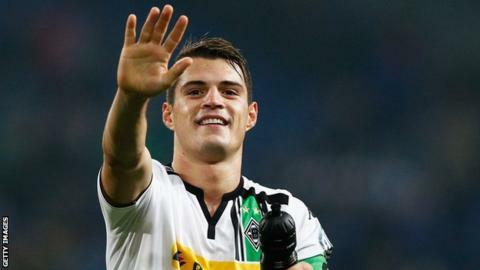 Arsenal are close to completing the signing of Borussia Monchengladbach captain Granit Xhaka. The clubs have reached an agreement on a deal reported to be worth £30m for the Switzerland central midfielder. Xhaka, 23, has flown to London to finalise personal terms and have a medical, scheduled for this weekend. His arrival will strengthen a midfield depleted by the departures of Mikel Arteta, Tomas Rosicky and - possibly - Mathieu Flamini. Xhaka will become Arsenal's first acquisition in what is expected to be a busy transfer window at the Emirates Stadium.